Want to lose weight, tone up, and get fit? At Get Fit Central, we’ll help you put your health first. Our health and fitness can sometimes take a back seat, and before you know it the kilos are piling on, the clothes are not fitting that well, you lack any motivation to start exercising and don’t know where to start. That’s why we’ve created our body transformation program to help you reach your goals and get fit! 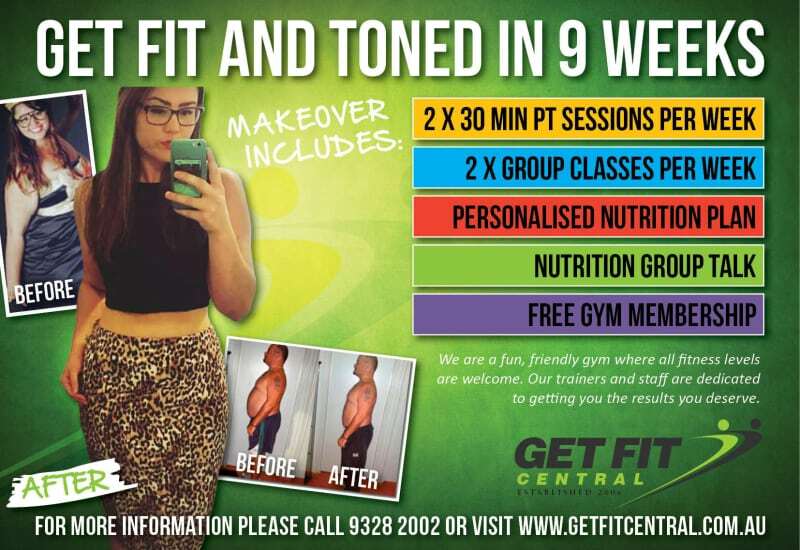 If you’re looking for results-based training in Perth, our body transformation program is perfect for you. Start now to get results in 9 weeks! Simply fill out the registration form below and one of our friendly team members will get in contact with you.